When you enter the wide world of plastics, there are a lot of really interesting, unique, and downright weird ways it’s being manufactured and used. From using plastic as a filler to plastics that can enhance workplace safety, we’re coming up with new ways to use plastic all the time, and with new uses for plastic comes new manufacturing techniques. 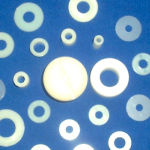 Many plastic parts, especially when it comes to basic plastic fasteners, are just injected into a mold and popped out after they have cooled. This is a good technique when it comes to screws and nuts, but there’s so much more you can do with plastic! One method that’s allowing manufacturers to do more than ever before with plastic is called rotational molding. Rotational molding is also known as rotomolding or rotocasting, and it does what it sounds like it would do. It’s a method of creating a hollow mold, then rotating the mold in order to coat the sides with the material that’s being used. The mold is heated just enough to melt the material, and then it is slowly rotated as the mold cools, ensuring an even distribution of material throughout the inside of the mold. No one would be using this process if it didn’t provide some benefits. One of the largest benefits is the fact that strange and unusual shapes can be created as a single piece. Traditional manufacturing methods would require you to assemble pieces after they have been cast. The process can be customized, especially when it comes to cost. Depending on how much material you use, you can alter the thickness of the item being created, ultimately affecting its price. These types of molds require less tooling, allowing you to start the production process much quicker than other methods. The molds also produce very little waste material. 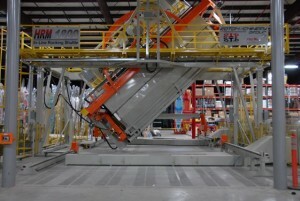 Most of the waste that is created can usually be recycled or reused. What kinds of material can you use in rotational molding? That’s not all! Some natural materials are perfect for rotational molding as well. For example, a sandstone composite can be used to create hollow items, while plaster is often used to create hollow outdoor statuettes. Materials that are used get even weirder. Chocolate is often used to create hollow treats that can be filled with other candies. What can you make using this process? Browsing the long list of materials above is a clue that the sky’s the limit when it comes to the things you can make using rotational molding. If you can create decorative outdoor statues with plaster and hollow candy with chocolate, imagine what you can do with plastic! Rotational molding has a serious side as well. Not only can you make plastic lawn flamingos and footballs, it’s also used to create UN-approved containers for the transportation of nuclear fissile materials. Seals for inflatable oxygen masks are often produced using this manufacturing method, and even lightweight components are specially created for the aerospace industry using rotational molding. Are there any downsides to rotational molding? Just like you would expect quite a few benefits from a process that is so frequently used, so too should you expect a few downsides. 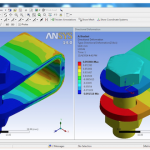 The design of the mold is crucial. Depending on its design, some corners can be difficult for the material to reach, which ultimately compromises the final product. Powders are able to help to some degree, but rotational molding is never able to produce items with sharp threads. Although the mold itself is ready to go into production quickly, there’s a lot of downtime associated with the process itself. Other processes require the product to cool before it’s removed from the mold, but the entire mold must be cooled with rotational molding, creating more downtime. Water cooling is a possibility, but this enhances financial and environmental costs. It’s vital to consider all of your manufacturing options before you get started. Not only can it ensure the final product is exactly what you envisioned, the right process can save you time and money as well. Especially when you consider the fact that some of your parts can be created with rotational molding while others utilize more traditional manufacturing processes. 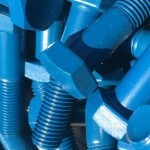 If the end result of your manufacturing process requires a few fasteners, let us know. 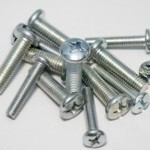 We’d be happy to help you find the perfect fasteners for your next project. This entry was posted in General, Plastic Manufacturing on June 30, 2017 by Fastener Components.